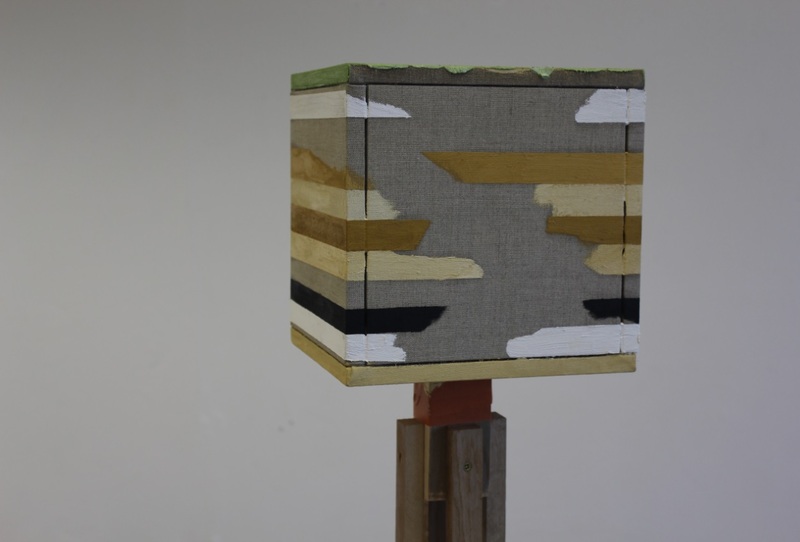 Charlie Lang is one of our talented final year MFA Fine Art students who will be exhibiting his work at the MFA Fine Art Summer Show this year. 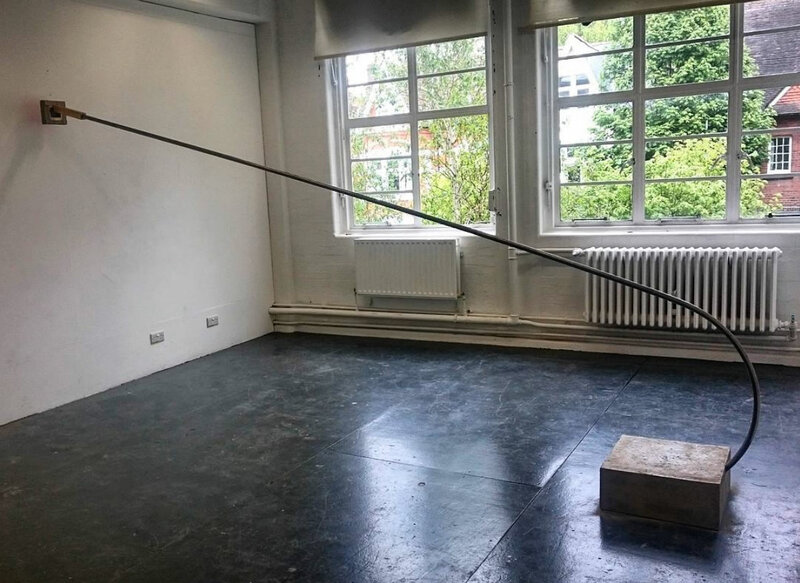 We spoke to Charlie about his experience of the MFA Fine Art course, the drastic ways in which his practice has changed over the past year and the works he will be exhibiting at the Summer Show. I think of myself as a professional hoarder. I’m really good at keeping things and becoming really attached to these pieces. I think in terms of materials and I find it interesting seeing what material can do and what I will let it do. I come from a painting background and I’ve had to have a crash course on sculpture because I came quite late to it. All I did was paint for my BA and the first year of this course, so this is me very quickly catching up. In what ways has your practice developed over the course of the MFA? I came here as a portrait painter, but after a while I felt it was restrictive and I was slowly pushed out of that by my tutors. I rebelled a bit and went into a bit of an art life crisis. I would say this course is has shown me the possibilities of materials. My work has changed so much, I don’t even really paint anymore. In fact I tried to paint recently and I found it really difficult, which is quite interesting! I quite like it actually, I like the challenge. What have you enjoyed most about studying the MFA Fine Art? The sense of family. Everyone here is so on the same wavelength and are rooting for the same thing so it’s so easy to instantly become friends. That’s the thing I’m going to miss most about this course; the people. Being around everyone every day and seeing all these exciting things happen is fantastic. It’s such a great college and it feels very homely and that’s what makes me and probably everyone else on this course feel more comfortable and like they can experiment and push themselves. Also the workshops are great and the technicians are even better! I think changing my practice so drastically and so quickly has been quite a challenge. Having a very limited knowledge of art history, I tried to catch up quickly. The lecturers have been very helpful and have pushed me in the right direction about what to read about for a very quick crash course. I was such a serious painter but am finding it really fun learning new things. My favourite thing to do is learn and that’s exactly what I’m doing! Why did you decide to do an MFA Fine Art at Wimbledon? I want to be a lecturer at some point and be able to teach, so having an MA is pretty crucial. I chose the MFA because it’s a part-time course so it allows me to also work alongside it. I came straight after my BA because I didn’t want to stop. After doing a one year foundation and a three year BA, studying has kind of become a bit of a security blanket, but I’m finally ready to leave after six years! I looked into some other MA courses but they didn’t feel right to me. When I came here and started speaking to the lecturers and technicians and seeing everyone in the studio talking and having coffee, that’s what attracted me most. I spoke to Edwina throughout interviews and open days and she runs a very good course. This is her brainchild, it’s her baby. She’s a very ferocious mother for this course which is really nice because she fights for you. I’m really proud to have been on this course and under her tutelage. There’s a great range of tutors on the course. There’s always someone who can talk to you about every niche little pocket of art. Can you tell us about your Summer Show work? I like concrete, and through this quick journey through art history I’m at brutalism at the moment. I really like brutalism because it’s so simple. It’s the material doing exactly what it can do and what it should do without distraction or ornamentation. In terms of the language of sculpture, I’m talking about balance in a sense of finding out what the irreducible qualities of a material are. What can you strip back from polystyrene, what are the qualities that make it polystyrene? And then what can I make it do? What can I let it do? Essentially, I’m taking polystyrene blocks and I’m going to make them look like concrete and form the blocks along a metal skeleton and it’s going to twist and turn up to the ceiling. It will throw your sense of understanding about what a material is doing because hopefully it’s going to look exactly like concrete. If it works it will be a great illusion. Anything else coming up that you’d like us to know about? After the Summer Show, a few of the students and I have organised a show in Hackney Wick in the Arbeit Gallery for 20 artists on the course to show their work. It’s called ‘Signal to Noise’ and is going to happen the week after the Summer Show on 28 June. The premise was going to be the Summer Show just taken and put in a different location, but I think the idea now is more along the lines of detaching ourselves from the university institution. While we are artists now, I still see myself as a student and I guess this will be the first step into what the real world is going to be like. I’ve also been invited to be an artist in residence at The Turf Gallery in Croydon. In exchange for a studio and making space I’ll be giving workshops about materials, sculpture, painting etc. I will work on those with Art Halo, a charity that works with lots of people in Croydon, and other charities like Made in Croydon and Lives not Knives where we will be giving workshops to school kids. I was really worried about the period six months after finishing, because some people who have graduated last year said they really struggled without having that university structure. But I really want to keep going and keep making so I’m very excited to have the opportunity to keep doing that! You can find out more about Charlie and his work by visiting his website and following him on Instagram.